With visits to 85 unique ports of call in 40 countries, Cunard Line’s 2014 World Voyage Programme is sure to satisfy the most adventurous traveller with opportunities to explore South America, to circumnavigate Australia and to discover the excitement of Japan and Southeast Asia. On sale 5 September, the programme will feature three World Voyages ranging from eight to 133 days aboard Queen Mary 2, Queen Victoria and Queen Elizabeth, with embarkation points in Southampton, England, New York, Fort Lauderdale and San Francisco, depending on the voyage. Together, Cunard’s Queens will cover 116,808 nautical miles, taking in signature, must-see cities as well as less familiar, but equally compelling, destinations. Flagship Queen Mary 2 will celebrate her 10th anniversary season with an exciting 119-day World Voyage, commencing from Southampton and visiting 30 ports of call in 19 countries. Guests have the option to return to Southampton, or to New York via an iconic Queen Mary 2 Transatlantic Crossing. Destination highlights will include Namibia and the spectacular sculpted dunes; Cape Town and beautiful Table Mountain; plus her second, full circumnavigation of Australia with calls in Cairns, Sydney, Brisbane and Melbourne. On her return route home from Sydney, guests will be treated to an impressive range of exciting Asian sights and cultures before transiting the Suez Canal and cruising the Mediterranean. Overnight calls will include Cape Town, Hong Kong and Dubai. Guests can also enjoy outstanding value by combining two or more consecutive segments to create adventurous Liner Voyages. Queen Victoria’s epic 116-day World Voyage will sail roundtrip from Southampton and visit 40 ports in 19 countries, including an extended trip around South America and a much-anticipated overnight call in San Francisco. Guests can begin their journey in Southampton or Fort Lauderdale and experience everything from joyful samba displays in Rio and silent turquoise glaciers in Chile, to the mystery and legend of remote Pacific isles. Cape Horn, Amalia Glacier, Pio X Glacier, Easter Island, Pitcairn Island and breathtaking Milford Sound are just some of the voyage’s iconic and dazzling destinations. Other highlights will include seven calls in New Zealand and visits to American Samoa, Tonga and Hawaii. Queen Victoria will make 10 maiden calls during this World Voyage: Fortaleza (Brazil), Rio de Janeiro, Montevideo (Uruguay), Buenos Aires, Puerto Madryn (Chile), Ushuaia (Argentina), Punta Arenas (Costa Rica), Puerto Montt (Chile), Moorea (French Polynesia) and Suva (Fiji). Queen Elizabeth will return to the World Voyage with an enthralling 118-day circumnavigation of the globe featuring embarkation points in Southampton, New York, Fort Lauderdale or San Francisco. The ship will visit 41 ports in 24 countries and feature a first-ever visit to Japan where she will make four maiden calls: Kochi, Yokohama, Kobe and Nagasaki. Additional highlights include a dramatic passage of the Panama Canal, the beauty of Hawaii and Australia’s Great Barrier Reef. Overnight calls will include San Francisco, Sydney, Hong Kong, Singapore and Dubai. Additional maiden calls will include Busan (South Korea), Shanghai, Xiamen (China) and Abu Dhabi. Guests who book their 2014 World Voyage adventure before 28 February 2013 will receive an On Board Credit of up to $3,000 per stateroom – on Full World and Liner Voyages. 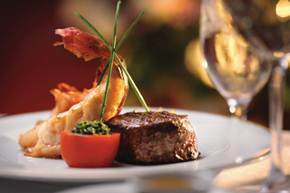 Guests who book a Full World Voyage will receive complimentary Hotel & Dining Charges (gratuities). In addition to On Board Credit, World Club members will receive additional savings of up to $2000 per person. These World Club savings will combine with most other offers that are available to past guests, giving them peace of mind that booking early is advantageous. Cape Town & Winelands (3 nights) – includes a fascinating visit to a penguin colony in Boulder’s Beach at the Cape of Good Hope Nature Reserve, as well as a stop at the house of J.C. Le Roux and the nearby university town of Stellenbosch. Adventurous guests may also climb Cape Town’s most celebrated landmark, Table Mountain, before embarking on a tour through the city. This tour can be booked for Queen Mary 2’s arrival in Cape Town as a post-voyage tour from Southampton or can be enjoyed before departing Cape Town for Sydney or Brisbane. Chilean Gastronomic Delights (3 nights) – offers an introductory tour around Chile’s capital, Santiago, as well as excursions to Concha y Toro Winery and Casablanca Valley Vineyard & Valparaíso. Andes & Viña Del Mar (3 nights) – a scenic drive from the Central Valley of Santiago to the Andes (at 9,421 feet above sea level) is followed by a tour through the Casablanca Valley to the fashionable seaside resort of Viña del Mar and Valparaíso. These tours can be booked for Queen Victoria’s arrival in Valparaiso as a post-voyage tour from Southampton or can be enjoyed before departing Valparaiso for Brisbane or Sydney. Sydney: Blue Mountains & Hunter Valley (4 nights) – begins with a morning tour of Sydney highlights, including the historic Rocks area, Mrs. Macquarie’s Chair, Kings Cross and Bondi Beach, in addition to the world famous Sydney Opera House; next on the tour is a visit to Featherdale Wildlife Park, the township of Katoomba in the World Heritage-listed Blue Mountains, and a 700-foot ride down the world's steepest funicular railway; the tour ends with a wine tasting in the beautiful Hunter Valley, one of Australia’s oldest and renowned wine regions. This tour can be booked for Queen Elizabeth’s arrival in Sydney as a pre-voyage tour before departing for Yokohama, Hong Kong, Singapore or Southampton. Guests sailing a luxury cruise vacation aboard Cunard Line delight in the experience of the voyage itself, not just the destination. By day, guests enjoy voluminous libraries, world class spas, white-glove afternoon tea service and engaging award-winning Cunard Insights guest enrichment programmes; by night they are entertained by Royal Nights themed balls, West End-style productions and Veuve Clicquot champagne cocktails. 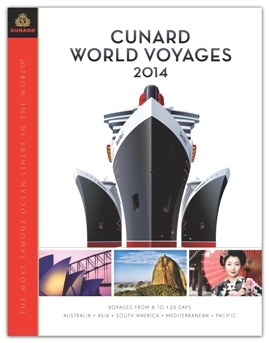 To view the complete 2014 World Voyage schedule, visit www.cunard.com/2014wv. In conjunction with Julien’s Auctions of Beverly Hills, Cunard Line will offer guests the opportunity to view and purchase rarely before seen items of famed actress Greta Garbo during Queen Mary 2’s 20 November 2012 Transatlantic Crossing. Additionally, during the voyage, Garbo’s great nephew, Derek Reisfield, will headline Cunard's on board enrichment program, Cunard Insights, where he will provide a personal account of her life and iconic Hollywood career. The on board auction and display will give guests an exclusive preview of Julien’s December 2012 Garbo auction event in Beverly Hills, and will feature several of her most photographed belongings, including her iconic cashmere turtleneck and vintage umbrella, used to shield herself from paparazzi. 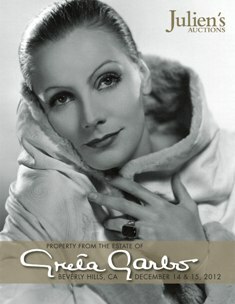 Relics from Garbo's world travels, including her vintage Louis Vuitton suitcase, travel watch and a luggage tag bearing her travel alias, will also be on display for guests’ viewing pleasure. During his guest lectures for Cunard Insights, Derek Reisfield will recall personal stories from the actress’ life, learned during his weekly, childhood gatherings with her. Topics will also include career highlights, Garbo’s personal relationships with dignitaries and celebrities such as President John F. Kennedy, Sir Winston Churchill and William Randolph Hearst, and will highlight her lesser-known historical contributions to American and British military intelligence during World War II. “As Garbo was one of the most celebrated actresses in Hollywood history, and Cunard has such a storied tradition of sailing Hollywood luminaries, it is an honour to work with both the Garbo Family and Cunard on this very special collection of notable pieces dating back to both the silent and talking film eras,” said Darren Julien, president, CEO of Julien’s Auctions. For more than 170 years, Cunard Line’s Transatlantic Crossing has appealed to a broad range of sophisticated travelers with a love of glamour, elegance and tradition. Each Crossing features a series of Royal Nights-themed balls held in the Queens Room – the largest dance floor at sea; and each evening, the Royal Court Theatre presents West End-style musical revues and guest performers. Norwegian Cruise Line's Private Island - Great Stirrup Cay, Bahamas Adds Attractions. Norwegian Cruise Line announced that a new Stingray Encounter and ‘Fate of the Fancy Snorkel Adventure’ are now available on Great Stirrup Cay, the line’s 250-acre private island in the Bahamas. In addition, coming soon is a brand new Lighthouse Beach Bar presented by spirits brand Patron. The launch of these three brand new experiences marks more exciting additions to the island as part of the on-going $30 million enhancement project. Located inside Bertram’s Cove, on the right hand side of the main beach, the Stingray Encounter invites guests to interact with 18 specially-trained stingrays in an enclosed area. Each of the stingrays has a name and its own unique personality, and guests will enjoy feeding, watching and holding them, for the perfect photo opportunity. Also included in the Stingray Encounter experience is use of a mask, snorkel and snorkel vest so that guests can peer below the surface to examine the rays up close. The hour-long excursion includes 45-minutes of interaction with the rays and is available from $29 per adult and $19 per child. Norwegian is also launching a new snorkel trail experience called, Fate of the Fancy Snorkel Adventure, for guests to enjoy during their time on Norwegian’s private island. Snorkelling is one of the most popular activities on the island and Norwegian has now enhanced that experience with the snorkel trail. Located near the Stingray Encounter in Bertram’s Cove, the Fate of the Fancy Snorkel Adventure is the first private island snorkel trail to depict an actual legend as it portrays the tale of a shipwreck. As the legend goes, ‘The Fancy’, sailing from Nassau, Bahamas in 1696, encountered a mythical creature named Lusca that was half-shark, half-octopus. It is believed that Lusca was responsible for the ship disappearing near the Berry Islands, the location of Great Stirrup Cay. Guests can explore, discover and look for clues underwater that lead to the treasure that the Fancy was carrying, highlighted by 17 different underwater scenes that depict the shipwreck and Lusca’s legend, including cannons, a sunken piano, treasure chests, swords and more. Developed in conjunction with IDEA Inc., an Orlando-based company with experience in developing theme park experiences, the Fate of the Fancy Snorkel Adventure features some authentic artefacts that are more than 300 years old. In addition, all of the artefacts are eco-friendly and will stimulate additional marine life in the area. To experience the snorkel trail, guests can rent snorkel equipment at a rate from $29 per adult or $15 per child for the entire day. Guests wishing to experience both the Fate of the Fancy Snorkel Adventure and the Stingray Encounter during their time on the island can purchase a combination package that includes both tours at a discounted price from $49 per adult, a $9 saving, and $29 per child, a $5 saving. Norwegian has also partnered with the popular spirits brand, Patron, to introduce a new island bar experience to Great Stirrup Cay called ‘Lighthouse Beach Bar presented by Patron’. This is the first private island bar that Patron has sponsored. It will feature Patron products, as well as a full range of alcoholic and non-alcoholic beverages. The bar will be completely redesigned and will be outfitted with beach-inspired décor, Patron branded materials, including bar stools, umbrellas and menu boards, as well as two large flat-screen TVs that will showcase a variety of entertainment from music videos to sporting events. The new bar is set to open in September 2012. Norwegian was the first cruise line to offer an uninhabited tropical island experience exclusively for its guests. Great Stirrup Cay offers magnificent white sand beaches, majestic palms and calm, pristine waters where an abundance of colourful marine life inhabits the surrounding coral reefs. Additional activities on the island include a Waverunner® tour; a large Hippo Waterslide; eco boat tour; kayaking; parasailing; shopping at the straw market; and more. Ship visting Great Stirrup Cay include the:Norwegian Gem visiting Great Stirrup Cay during her 7-night Bahamas & Florida itinerary from New York. Beginning in October, Norwegian Jewel will also stop at Great Stirrup Cay on her 7-night Bahamas & Florida cruises from New York. Norwegian Breakaway, Norwegian’s newest ship launching next spring, will visit Great Stirrup Cay on 7-night cruises from New York to the Bahamas & Florida beginning in mid-October 2013. 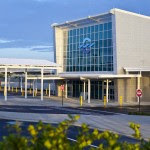 Cape Canaveral, Florida is ready to welcome its latest cruise terminal. The new, $65 Million dollar facility provides over 90,000 square feet of passsenger and storage area. The new terminal, know as Terminal 6, spans 2 levels and can handle over 2,400 passengers simultaneously. Terminal 6 also has a 1,100 seat waiting area for those departing passengers as well a shops and stores. Cape Canaveral is a popular cruise port on 7 Day Bahamas/Florida cruises departing from New York and Baltimore. Norwegian Cruise Line announced today that a new Stingray Encounter and Fate of the Fancy Snorkel Adventure are now available on Great Stirrup Cay, the line’s 250-acre private island in the Bahamas. In addition, coming soon is a brand new Lighthouse Beach Bar presented by Patron. The launch of these three brand new experiences marks more exciting additions to the island as part of the ongoing $30 million enhancement project. Located inside Bertram’s Cove, on the right hand side of the main beach, the Stingray Encounter invites guests to interact with 18 specially-trained stingrays in an enclosed area. This exciting and unique excursion introduces guests to these smooth and graceful creatures. Each of the stingrays has a name and its own unique personality, and guests will enjoy feeding, watching and holding them, for the perfect photo opportunity. Also included in the Stingray Encounter experience is use of a mask, snorkel and snorkel vest so that guests can peer below the surface to examine the rays up close. The hour-long excursion includes 45-minutes of interaction with the rays and is $29 per adult and $19 per child. Norwegian is also launching a new snorkel trail experience called, “Fate of the Fancy Snorkel Adventure,” for guests to enjoy during their time on Norwegian’s private island. Snorkeling is one of the most popular activities on the island and Norwegian has now enhanced that experience with the snorkel trail. Located near the Stingray Encounter in Bertram’s Cove, the Fate of the Fancy Snorkel Adventure is the first private island snorkel trail to depict an actual legend as it portrays the tale of a shipwreck. As the legend goes, “The Fancy,” sailing from Nassau, Bahamas in 1696, encountered a mythical creature named Lusca that was half-shark, half-octopus. It is believed that Lusca was responsible for the ship disappearing near the Berry Islands, the location of Great Stirrup Cay. Guests can explore discover and look for clues underwater that lead to the treasure that the Fancy was carrying, highlighted by 17 different underwater scenes that depict the shipwreck and Lusca’s legend, including cannons, a sunken piano, treasure chests, swords and more. Norwegian Sky makes year-round stops at Great Stirrup Cay on her three and four-day cruises from Miami. Norwegian Gem visits Great Stirrup Cay during her seven-day Bahamas & Florida itinerary from New York. Beginning in October, Norwegian Jewel will also stop at Great Stirrup Cay on her seven-day Bahamas & Florida cruises from New York. 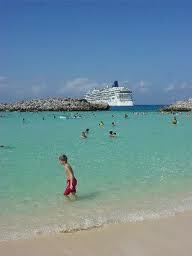 Norwegian Pearl will also visit Great Stirrup Cay this winter on her seven-day Western Caribbean itinerary from Miami. Norwegian Breakaway, Norwegian’s newest ship launching next spring, will visit Great Stirrup Cay on seven-day cruises from New York to the Bahamas & Florida beginning in mid-October 2013. Although Princess Cruises' New Royal Princess will NOT be sailing from the Northeast US, I think readers will find the video below very interesting and enjoyable. The video shows the recent float-out of the new Royal Princess at Italy's Fincantieri Shipyard. Click on the photo below to watch the video. Click the image above to watch the float out ceremony of Princess Cruises' New Royal Princess. Silversea Releases 2013 Cruise Brochures. 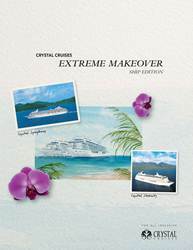 Silversea Cruise Releases 2013 Cruise Brochure. Ultra-luxury Silversea Cruises has released two new brochures showcasing over 200 imaginative voyages sailing from January through December 2013 to over 450 destinations on seven continents. The new 2013 Voyages atlas immediately captures the imagination with an exquisite cover design that hints at the luxurious travel experiences revealed within its 176 pages. Devoted to the remarkable journeys of Silver Cloud, Silver Wind, Silver Shadow, Silver Whisper and Silver Spirit, this comprehensive guidebook showcases Silversea's exclusive world, where luxury is found in every detail. Also just released is Silversea Expeditions' 2013 Voyages brochure. Formerly enfolded within the company's main atlas, it is now available as a stand-alone 48-page guide to Silver Explorer's amazing voyages of adventure. It highlights 27 expedition cruises sailing from pole to pole and to some of the world's most remote destinations in between. "Our new brochures reveal the many unique elements that are woven together to create an extraordinary vacation experience for our guests," said Ellen Bettridge, Silversea's president of the Americas. "These include intimate ships, luxurious amenities, superb cuisine, amazing destinations, and the ability our guests have to personalize their experience with bespoke land adventures, options for customizing their suites and a choice of cruise-only or all-inclusive pricing." Silversea's 2013 Voyages atlas opens with several pages of stylish imagery and engaging content devoted to revealing the hallmarks of Silversea's unique luxury lifestyle. The balance of the brochure provides a snapshot of "What's New" followed by detailed worldwide cruise itineraries by region, including shore excursion recommendations, descriptions of land programs, deck plans and general information. A pricing summary booklet is contained in the back cover pocket. An epic 115-day journey from Los Angeles to Fort Lauderdale awaits guests when they board Silver Whisper on January 5. Crossing the equator four times, the World Cruise itinerary will follow the tropical belt to 52 destinations in 28 countries with overnight stays in several key ports. The warm-weather journey will explore an array of far-flung cultures and scenic wonders including New Zealand and Australia's remote west coast; the idyllic isles of French Polynesia; fascinating Asian cities of Hong Kong, Bangkok and Singapore; and Africa's rarely seen western coast. Guests may choose to extend their voyage an additional three days to disembark in New York, or 15 days to disembark in Southampton. Created for travelers who can spare the time and prefer a more immersive experience in the lands they visit, this special collection offers extended voyages from 34 to 54 days. These unique odysseys combine the luxury of sailing aboard the line's elite, all-suite ships with expanded journeys to diverse regions of the world, featuring visits to must-see traditional ports, as well as exotic destinations that are off the beaten path -- all on one cruise. From the glamorous City of Angels to the moonlit beaches of Bora Bora to the sheer, emerald cliffs of Kauai's Na Pali coast and back, guests will enjoy a 31-day roundtrip journey exploring the enchanting cultures of the South Pacific. This uniquely immersive voyage (#5304) departs February 1 from Los Angeles aboard Silver Spirit. Norwegian Cruise Line and MSG Entertainment announced today that the Rockettes, one of New York’s most illustrious and beloved icons, will christen Norwegian Breakaway as the official Godmothers, further strengthening the ship’s strong ties to New York. The christening ceremony will take place in New York City on May 8, 2013 on board Norwegian Breakaway, the largest ship to homeport year-round in New York. The partnership with the Rockettes will include Norwegian Cruise Line as the designated “Official Cruise Line” of the Rockettes and Radio City Music Hall, and as the “Official Partner”of the Radio City Christmas Spectacular. As part of their role as Godmothers, two Rockettes will sail aboard the first six sailings of Norwegian Breakaway, beginning May 12, 2013, and the first sailing of each month thereafter, taking part in special events for guests to enjoy. The larger partnership across the MSGE properties, Radio City Music Hall, the Radio City Christmas Spectacular and the Rockettes, will create expansive brand exposure for Norwegian Cruise Line at Radio City Music Hall, including onsite venue presence during the 2012 production of the Christmas Spectacular. Guests attending this year’s Christmas Spectacular at Radio City Music Hall can participate in the “Spectacular Sweeps,” a sweepstakes that can be entered right from their seats with the opportunity to win one of two cruises for a family of four on Norwegian Breakaway. Norwegian Cruise Line will have a year-round display in Radio City Music Hall’s Grand Lounge that features an 11-foot replica of Norwegian Breakaway, along with information on the ship’s unique attributes, entertainment, dining, destinations and more. Onboard Norwegian Breakaway, the Rockettes, with their unparalleled grace, athleticism and precision technique that has made them part of the fabric of New York City for 85 years, will be showcased with a variety of offerings, including a historical retrospective in the ship’s library, exclusive fitness class designed by the Rockettes, featured beverages and more. On select sailings, guests will have the exclusive opportunity to meet two of the Rockettes. Sailing on the first six cruises from New York, as well as the first sailing of every month, two Rockettes will offer special fitness classes, photo opportunities, meet and greet speaker series and more. Starting with their inaugural New York City performance in 1927, the Rockettes have wowed audiences for the last 85 years. From appearances on the Tony Awards, Project Runway, Dancing with the Stars and the Super Bowl Halftime Show to Presidential inaugurations, the Rockettes are the epitome of teamwork and the embodiment of the belief that “together we're better.” Each dancer achieved their lifelong dream of becoming a Rockette through hard work, determination, dedication and dreaming big. Known for their rich history, unrivaled talent, strength, dynamism, precision and athleticism, the Rockettes have become one of the nation's most beloved icons. As the stars of the annual Christmas Spectacular production, the Rockettes entertain more than one million people each year and have played to 75 different cities across the country with the national touring production. Known as the showplace of the nation, Radio City Music Hall has hosted some of the biggest names in entertainment and music since it opened its doors on December 27, 1932. More than 300 million people have come to the Music Hall to enjoy stage shows, movies, concerts and special events, as well as the annual Christmas Spectacular production. 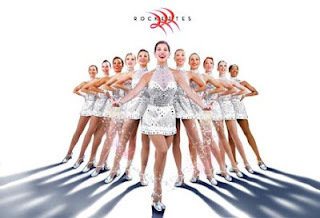 The 2012 edition of the Christmas Spectacular invites audiences to take part in the Rockettes Celebration! This year’s production commemorates 85 years of the past, present and future of the Rockettes featuring dazzling dance numbers, beloved favorites, breathtaking special effects and a brand new showcase featuring the Rockettes' most extraordinary costumes through the years, alongside beloved favorites that have been in the show since its inception. The 4,000 passenger Norwegian Breakaway will arrive in her year-round homeport of New York City in early May 2013. 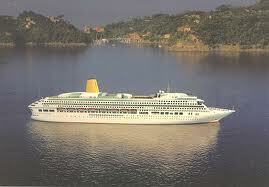 The ship will begin weekly summer seven-day cruises to Bermuda on Sunday, May 12, 2013. From October 2013 through April 2014, New York’s ship will offer seven-day voyages from the heart of Manhattan to the Bahamas and Florida, as well as two 12-day sailings to the Southern Caribbean. 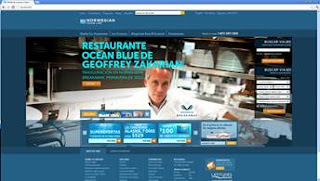 The ship will also feature a rich mix of stateroom options including The Haven by Norwegian, comprised of 42 Suites at the top of the ship in an exclusive, private key-card enclave and 22 additional Suites located throughout the ship; the innovative Studios, designed and priced for solo travelers; the re-introduction of Oceanview staterooms, Balcony and Mini-Suites; along with Spa Balcony, Mini-Suites and Suites in close proximity to the spa. After completing her last Canada cruise, Disney Cruise Line's Disney Magic left New York today (9/17) for what could be the last time. The Disney Magic left the Manhattan Cruise Terminal at 1:15 PM en-route for Galveston, Texas. Sailing under the Verrazano-Narrows Bridge at 2:15 PM, the ship left New York without passenger and is expected to arrive in the Texas city on September 22. 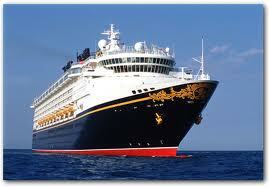 From Galveston, the Disney Magic will sail to Florida and the Bahamas (8 Days) or Grand Caymen and Mexico (7 Days). Disney Cruise Line has opted to place the Disney Magic in Europe for the Summer of 2013. Norwegian Cruise Line is introducing a new Specialty Dining Package, “Signature Trio,” that gives guests the unique opportunity to pre-purchase three specialty restaurants prior to sailing at a special rate. Guests who take advantage of Norwegian’s Specialty Dining Package can experience three of the line’s most popular specialty restaurants: the steakhouse, French bistro and Italian restaurant at a special package rate of $47 per person. The offer is currently available on all ships fleet wide. The Signature Trio gives guests a taste of something deliciously new and the opportunity to experience three of the line’s most popular restaurants. Diners will delight in Norwegian’s signature steakhouse, featuring succulent grilled steaks, perfectly cooked double cut lamb chops and other delectable steakhouse favorites. Also included in the trio is Norwegian’s signature French bistro, where guests will enjoy French favorites such as escargot, coq au vin and a spectacular vanilla crème brulee for dessert. The third specialty restaurant included in the trio is Norwegian’s traditional Italian restaurant, where guests will feast on a variety of pastas, made-to-order specialty pizzas, and other Italian favorites such as chicken parmesan and osso bucco in a casual atmosphere. Norwegian Star Leaves From New York Twice Today. The Norwegian Star then departed the Manhattan Cruise Terminal again at 7:10 PM. The Norwegian Star was seen under the Verrazano Bridge a second time at 8:00 PM. It is unclear whether she returned due to an ill passenger or some other reason. The Norwegian Star did bump Royal Caribbean's Explore of the Seas at Kings Wharf Bermuda at about 1:30 p.m. ET on Sept. 14. A high wind squall (estimated to be 52 miles per hour) caused the Norwegian Star’s aft mooring lines to break while the ship was docked in Bermuda. There were no injuries, and after a short time of being at anchor, the ship re-docked alongside at the pier. Divers entered the water to assure the Norwegian Star did not have any underwater damage. The ship left for New York 2 hour later than expected on Friday. We will see if we can find out more about the situation. In 2012, Crystal Cruises has been awarded the Association of Retail Environment’s Crystal design award, three Travel Weekly Magellan Awards, for luxury ship, suite and stateroom designs Hospitality Design magazine’s first-ever Distinctive Cruise Design award, as well as Condé Nast Traveler’s #1 and 2 cruise medium-sized cruise ships and Travel + Leisure readers choice awards for the World’s Best Cruise Line and World’s Best Service in the large ship category. Crystal Cruises is a luxury operator offering seasonal cruises from New York, Montreal and Boston offering New England and Canada cruises and transatlantic positioning cruises. Spanish speaking guests can access the new Spanish version of the line’s website directly at es.ncl.com or by clicking the “Español” link on ncl.com’s homepage header. A one time New York cruise ship favorite is heading to breakers in Turkey. The Sea Venture was built in 1971 by Nordseewerke, Emden, West Germany for Flagship Cruises. 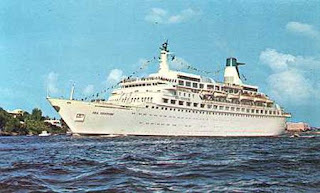 The Sea Venture was very popular on the New York to Bermuda run for multiple years and the symbol of elegance when she was introduced. Together, the Sea Venture and her sister the Island Venture, were the new luxury standard for cruising. Although the ships had a strong following, the high per diems and high operating costs stressed the company's financials. These 2 factors combined with a generous offer to purchase the ships from Princess Cruises caused the Sea Venture (and her sister) to be sold off to Princess Cruises. The Pacific Princess sailed for Princess until 2003, when she was sold to Pullmantur Cruises in Spain and sailed as the Pacific. In turn she was chartered to Quail Cruises in 2008 and continued to sail as Pacific. She was eventually was sold to Quail Cruises who commenced a major renovation and upgrade of the vessel. The work proved more expensive than anticipated and after spending $10+ Million dollars in renovations, Quail Cruises walked away from the ship. The vessel remains laid up in Italy and multiple attempts have been made to auction the ship off on the behalf of creditors but they have yet to find a bidder to meet the minimum purchase price of 2.7 Million Euros. She is currently laid up in Genoa, where she has been for 2 years. Last week it was announced that this great ship was sold to breakers in Turkey. It is expected that she will be towed to the scrap dealer's site within the next two months and beached for demolition. Just last week United Airlines announced that they were changing the configuration of their aircraft to reduce the size of the already compact seats from 18" inches to 17" inches. The configuration change will make the already cramped planes, capable of handling 6 more passengers in coach. Many other airlines have already stated that they will follow United's lead. The airlines continue to find new ways to make air travel less convenient, less comfortable and less affordable for the average traveler. Cruises are available from New York and Baltimore year-round and seasonal from Boston, Norfolk, Quebec and Montreal. Save the airfare and take a cruise from a city nearby. 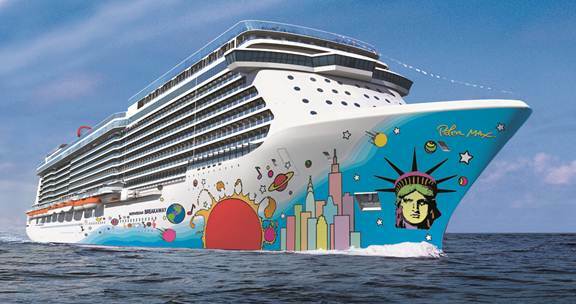 Norwegian Breakaway's Hull Art Revealed. The New England / Canada season kicked off, big time this week with the departure of Norwegian Cruise Line's Norwegian Gem, Princess Cruises' Caribbean Princess and Carnival Cruises' Carnival Glory all setting sail for Halifax, Nova Scotia. In addition, Celebrity Cruises' Celebrity Summit, set sail from Cape Liberty, Bayonne, NJ for Portland, Maine. P&O Cruises Aurora is steaming toward New York and is expected to arrive in New York today (Sunday)with a full complement of British Passengers as part of a U.S., New England, Canada cruise. Holland America's Veendam, sailed for New England / Canada last week and will complete the remainder of her 2012 fall season from Boston. Both the Norwegian Star and Norwegian Dawn continue to sail to Bermuda. The Norwegian Dawn set sail from Boston on Friday, en-route to Bermuda. Norwegian Cruise Line stated that the Norwegian Dawn's Bermuda arrival will be delayed but did not state by how much. The Norwegian Star is enroute to New York and is expected to arrive in New York early today (Sunday) and no changes have been announced for her Sunday departure for Bermuda. Royal Caribbean's Explorer of the Seas is returning to Cape Liberty, Bayonne, NJ from Labadee, Haiti. The Explorer of the Seas will depart tomorrow (Sunday) for Bermuda. No modifications have been announced for her upcoming sailing as of now. Norwegian Cruise Line Offers On Board Credits. Norwegian Cruise Line is launching its “Cruise Event Week” limited time offer today, Tuesday, September 4, 2012, giving guests the opportunity to earn additional on-board amenities when they book a new cruise vacation to one of Norwegian’s popular destinations including the tropical waters of the Caribbean, with fares starting at $399*. Guests who make a new cruise reservation will receive a variety of on-board amenities, based on stateroom category, plus reduced deposits when they book any five-day or longer Norwegian cruise by Monday, September 10, 2012. Special resident rates are also available on select sailings. From studios to oceanviews and balconies to The Haven, every room comes with great perks for guests to enjoy. Solo travelers who book a studio stateroom on board Norwegian Epic or those who book any inside stateroom will receive a bottle of wine to toast to their vacation. Guests who sail in an oceanview stateroom will receive a bottle of wine, plus decadent chocolate-covered strawberries. Balcony guests will also receive a bottle of wine and chocolate-covered strawberries, along with a complimentary dinner for two in Norwegian’s signature Italian restaurant. Mini-suite guests will enjoy all of the amenities received by those in a balcony stateroom, plus an additional dinner for two at Norwegian’s signature steakhouse, a guest favorite specialty restaurant, located on every Norwegian ship. Suite guests will receive all of the amenities entitled to guests sailing in a mini-suite, plus an additional $50 spa credit to use towards any pampering treatment in the Mandara Spas on board. Guests who set sail in Norwegian’s luxurious suite complex, The Haven, available on board Norwegian Epic, Gem, Pearl, Jewel or Jade, will enjoy all of the amenities received by suite guests, plus dinner for two in Norwegian’s signature French restaurant, and an additional $75 dollar on-board credit to use towards another relaxing spa treatment, exciting shore excursions, dinner in a specialty restaurant or towards beverages in one of the many bars and lounges on board. As the weather gets cooler, the tropical cruise season heats up with nine ships sailing from four convenient departure ports – Miami, New Orleans, Tampa and New York – and amazing itineraries that offer a slice of paradise in the Eastern, Western or Southern Caribbean. Guests can chase the sun on a Caribbean cruise from Miami on board Norwegian Epic, Norwegian Pearl or Norwegian Sun. Norwegian Epic, recently named “Best Ship for Sea Days” by Cruise Critic, will sail a series of seven-day cruises to the Eastern Caribbean beginning November 3, 2012; Norwegian Pearl will sail to the Western Caribbean on a series of seven-day cruises beginning October 21, 2012; and Norwegian Sun will sail to the Southern Caribbean on 10 and 11-day cruises starting on October 14, 2012. Guests wishing to sail from Tampa can do so on Norwegian Dawn, sailing seven-day Western Caribbean cruises beginning November 11, 2012. Norwegian Gem sets sail from New York on nine-day cruises to the Eastern Caribbean from New York starting October 20, 2012. Norwegian Jewel also offers convenient getaways from New York on seven-day cruises to the Bahamas & Florida from October 14, 2012 through December 30, 2012 or they can sail to the Southern Caribbean on a 12-day cruise between January 6, 2013 and February 3, 2013. Guests who wish to sail from New Orleans in 2012 can set sail on Norwegian Star, sailing seven-day cruises to the Western Caribbean starting November 4, 2012. In an exciting first for the line, Norwegian Jewel will be the first Jewel-class ship to homeport in New Orleans. Starting October 13, 2013, Norwegian Jewel will offer seven-day cruises to the Western Caribbean through April 13, 2014. Residents of the Northeast can be one of the very first to experience the line’s newest and most innovative ship, Norwegian Breakaway, on a seven-day cruise to Bahamas & Florida from New York City, starting October 13, 2013. For those who prefer a quick tropical getaway, Norwegian Sky offers three and four-day cruises year-round to the Bahamas from Miami. NYTimes Announce Dates For 2013 Travel Show.